What's the deal with those gales of November? 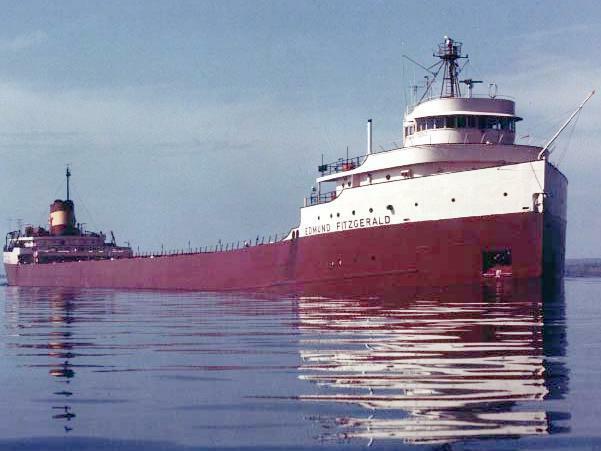 Did you know the Edmund Fitzgerald sank in a fierce storm on November 10, 1975? What's with these powerful winds and storms as we move from October to November? A storm with winds up to 70 miles per hour and heavy rain knocked down trees and power lines across Michigan yesterday. 460,000 homes and businesses are without power. Consumers Energy says power should be restored by late Wednesday for most customers and by Thursday for those in isolated areas. "Michigan’s controversial wolf hunt wrapped up its first weekend with just six wolves killed in the first three days. Michigan wildlife officials have set a goal of 43 wolves in this year’s hunt," Steve Carmody reports. "Mark Schauer says he'll make raising the minimum wage a top priority as Michigan governor. The Democratic gubernatorial candidate is proposing to increase Michigan's minimum wage from $7.40 an hour to $9.25 per hour over three years," the Associated Press reports. 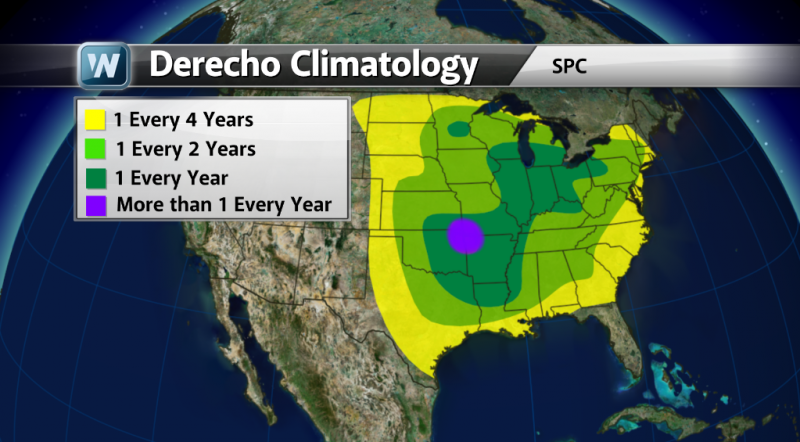 The National Weather Service says derechos occur once or twice a year in the central U.S. with winds of at least 75 mph. The storms maintain their intensity for hours as they sweep across vast distances, and can trigger tornadoes and large hail. 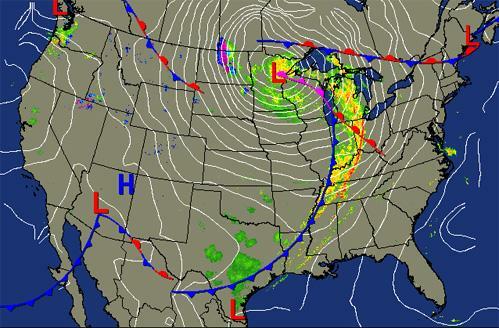 Meteorologists project possible derechos in Milwaukee, Chicago, Detroit, Cleveland and Pittsburgh metro areas. 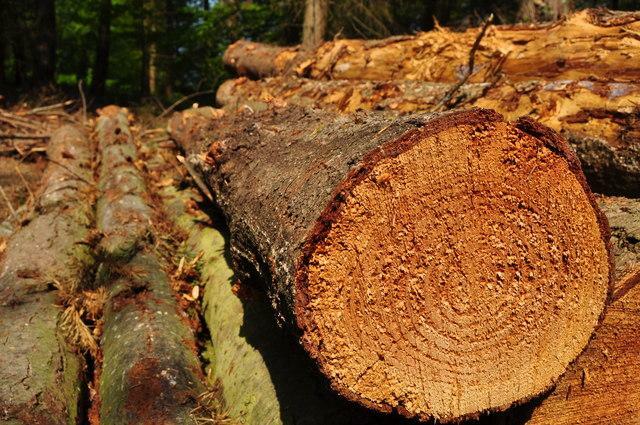 Tons of trees felled by a spring storm that swept across Calhoun County will be used to help generate power for residents and businesses in Mid-Michigan. The Battle Creek Enquirer reports that a two-story pile of limbs and branches will be fed into the Genesee Power Station in Flint, which uses wood fuel to create electricity. The debris pile has been growing at the Community Compost Center in Marengo Township, about 110 miles west of Detroit. DETROIT (AP) - Utilities say they're working to complete power restoration after severe thunderstorms hit southern Michigan earlier in the week. About 9,000 homes and businesses were without power around midday Wednesday. Thunderstorms on Monday blacked out about 218,000 customers. CMS Energy Corp. says about 5,700 of its 136,000 customers affected Monday still were blacked out late Wednesday morning. DTE Energy Co. says that about 3,000 of its 82,000 affected customers remained blacked out around midday Wednesday. 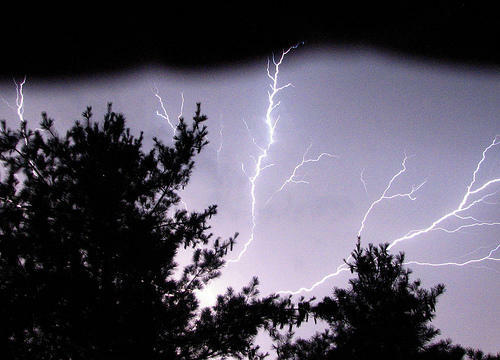 The storms were linked to two deaths in Michigan. The Detroit Free Press reports high winds also blew bricks from the David Whitney Building in Detroit onto part of Grand Circus Park, damaging a People Mover station. Service by the elevated train system was limited Monday and Tuesday, and was being shut down Wednesday for repairs. Michigan utility crews are working to restore power to tens of thousands of homes and businesses. Last night’s storms knocked out power for 125,000 customers. The severe thunderstorms hit the southeast corner of the state, with hail and winds up to 64 miles per hour that knocked down trees and power lines. The storms focused on metro Detroit and Michigan's rural thumb area. DTE Energy says 95,000 homes and businesses remain without service and a few will have to wait until Tuesday to get their power back. Utility crews from Ohio and Indiana are helping crews restore electricity in Michigan today. Consumers Energy says around 70,000 homes and businesses in Mid-Michigan are without power following severe storms in the area Sunday afternoon. That's down from 108,000 originally. Jay Jacobs is with Consumers Energy. They’re working to restore power to tens of thousands of people near the cities of Lansing and Battle Creek. It started last night and is expected to continue through tonight. Winter storm warnings will remain in effect until 8 p.m. tonight for many communities north of I-94. Areas east of Kalamazoo along the I-94 corridor to Detroit are under the less menacing "winter weather advisories" until 2 p.m. today. Moderate to heavy snow is expected around Midland, Bay City and Bad Axe. Freezing Rain, Sleet and Snow is expected from a Howell to Pontiac to Mount Clemes line north to a Saginaw to Sandusky line - including the cities of Flint, Lapeer, and Port Huron. Light Freezing Rain is expected across the Detroit Metropolitan region. 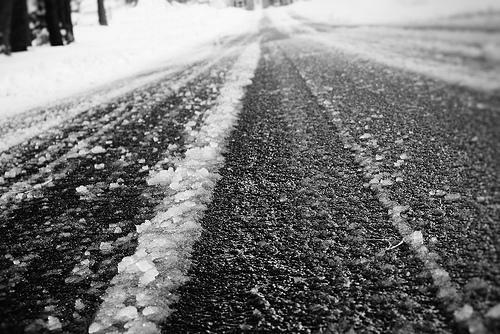 The National Weather Service says southeast Michigan was feeling the effects of the storm Friday morning, with an inch or more on the ground as the morning commute began. The snow left slippery driving conditions in its wake and numerous weather-related spinouts and crashes were reported. The state's Thumb area and Port Huron were expected to get the most snow. The weather service says 5 to 7 inches could fall in that area. 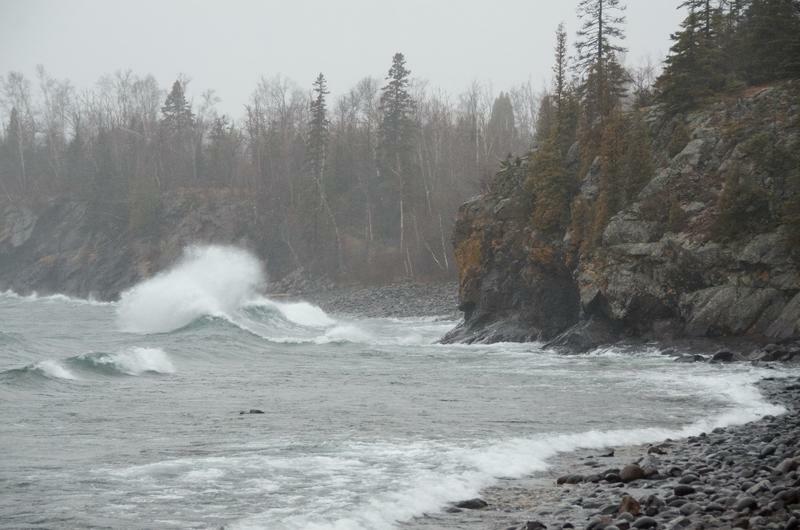 Winds contributed to hazardous conditions. As much as 4 inches of snow fell overnight as a fast-moving system heads from the Ohio Valley into Canada, with Metro Detroit on the outer edge of the system. 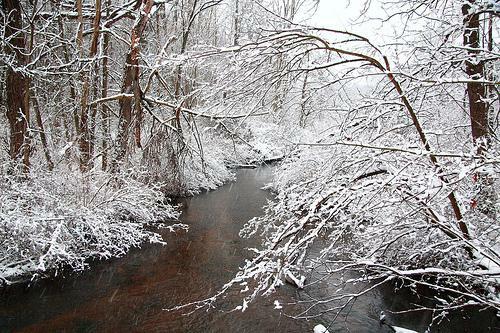 The snow is expected to taper off this morning, but not before some parts of the region see a total of as much as 7 inches snow, said meteorologist Steve Considine of the National Weather Service reporting station in White Lake Township. 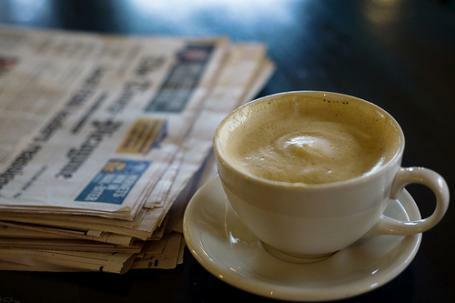 "It is winding down now," he said about 6:15 a.m. today. 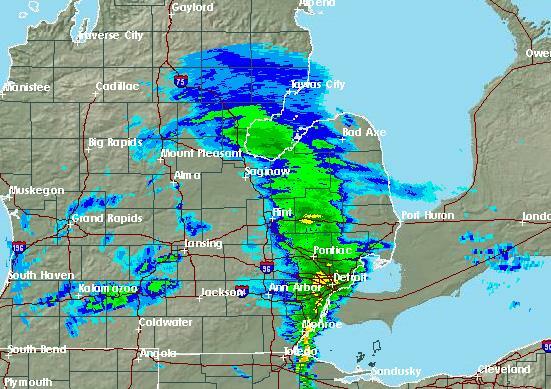 "About 2-4 inches will fall in much of Metro Detroit and higher in Macomb County." St. Clair and Sanilac counties could see a total of 5-7 inches, Considine said, because of how the storm is moving. Blowing snow could be a problem this morning because winds are blowing at 25-30 mph, Considine said. Temperatures were in the 20s this morning but expected to climb near 40 degrees this afternoon, Considine said. A snowy rain is expected later this evening. 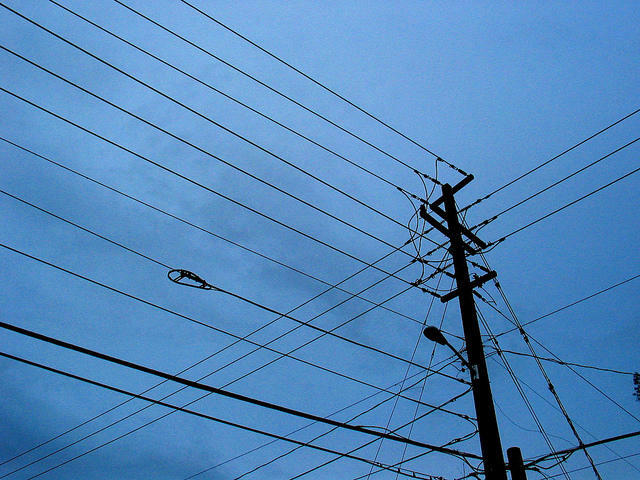 Thousands remain without power after "Presidents' Day Storm"
Consumers Energy spokesman Tim Pietryga said in a statement Tuesday that most of the Jackson-based utility's customers without power are in Kalamazoo, Lenawee, Monroe, Hillsdale, Calhoun and Branch counties. More than 160,000 customers have been affected. Pietryga said workers, including 100 utility crews from Indiana and Ohio, should return power to most blacked-out customers by late Thursday evening. But power may not return to the hardest-hit counties until Friday. DTE Energy Co. reported no major outages. Six to 10 inches of snow, along with sleet and ice, fell on Lower Michigan between Sunday and Monday. A winter storm that blew through the upper Midwest over the long Presidents Day weekend has dumped a hand bag of snow, sleet and ice on Michigan, canceling flights, closing schools and making driving treacherous for early morning commuters. 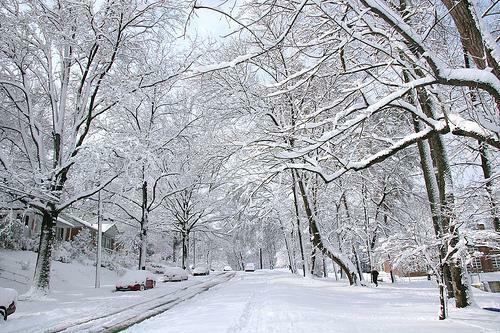 The National Weather service in White Lake Township says by Monday morning six to 10 inches of snow fell on southern Michigan since the storm began Sunday afternoon. Officials were urging people to stay off the roads if possible, rather than risk driving on icy roads or through wind-driven snow. Hundreds of flights were canceled at Detroit Metropolitan Airport. AAA Michigan spokeswoman Nancy Cain tells The Detroit News that by early Sunday evening, about 1,900 requests for assistance in spinouts and minor accidents had been taken. Kalamazoo Public Schools and Flint Public Schools are closed today. The U-M Dearborn campus is closed as well. 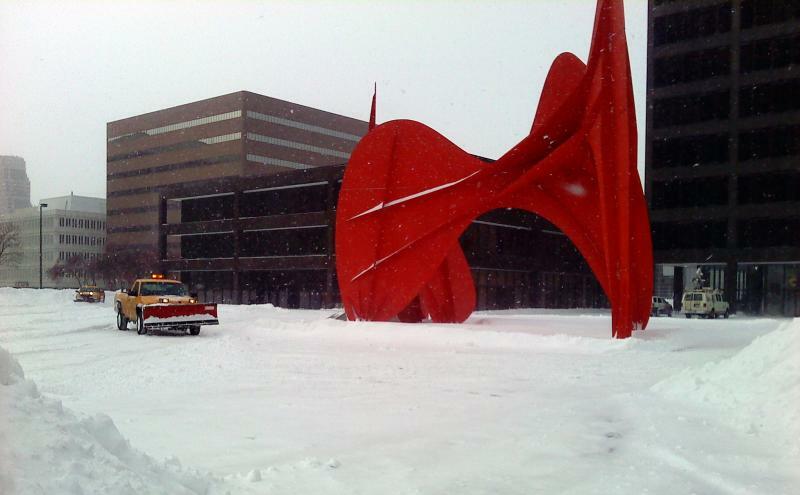 Chad Doty shovels a foot of snow off the sidewalk of a Big Boy in downtown Grand Rapids. It’s normally packed during lunch but today it’s closed. He’s been out shoveling for hours. Doty says he’ll work until early evening, take a nap, and head back out. He says the extra snow means extra cash for him. The busses are running, even though all universities, many schools and businesses are closed today. Mayor George Heartwell refused to declare a snow emergency. City workers are working around the clock to clear the streets. He says all of them should be clear by Friday. Heartwell is asking those physically able to do so help clear snow away from fire hydrants, and keep cars off the streets if possible. City leaders say they expect around 16 inches total. That’s nearly equal to the record set more than 20 year ago. Hal and Judy Fruit trek down a normally busy street in snow shoes they got for Christmas. 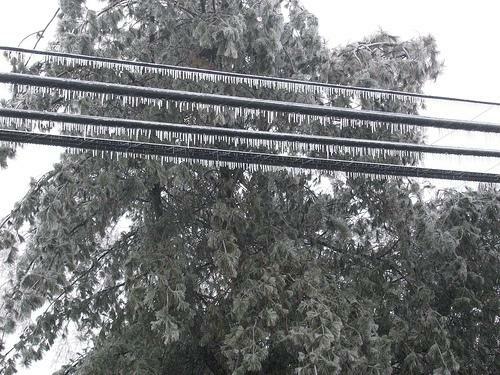 Just under 400 people in Kent County were without power, but are expected to be back online before the end of the day. "...a punishing Midwest winter storm pushed through the state, leaving at least two people dead and blacking out 105,000 homes and businesses. National Weather Service officials say high temperatures in the teens and wind gusts approaching 40 mph were expected Monday in Lower Michigan, where residents along southern Lake Michigan got upward of 20 inches of snow. About 7 inches fell in suburban Detroit." Ann Arbor Public Schools, Jackson Public Schools, Lansing Public Schools, and Kalamazoo Public Schools are just some of the closed school districts across the state. We're getting word of school closings across the state this morning. They include Ann Arbor Public Schools, Jackson Public Schools, Kalamazoo Public Schools and Lansing Public Schools. 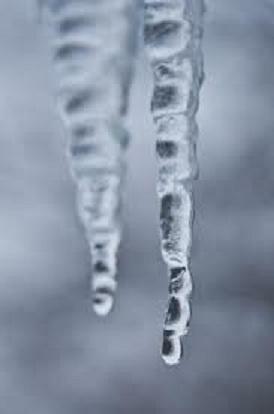 Be sure to check your child's school to see if it's closed due to winter weather. My cousins spent their summers along the St. Mary's River on Neebish Island. The lake freighters steam by just a stone's throw away from the shore. The storm passing through the Midwest today has a similar look to the storm that sank the Edmund Fitzgerald on November 10th, 1975. The 1975 storm had an extremely low pressure at its center, which generated winds similar to a category 2 hurricane. The storm in 1975 dropped to 978 millibars (mb) when it passed over James Bay in Ontario.